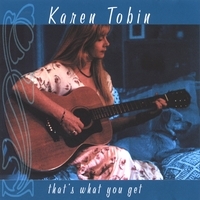 Country, rock and pop singer/songwriter Karen Tobin is a veteran of the LA country music scene and former recording artist with Arista Records (New York) and Atlantic Records (Nashville). 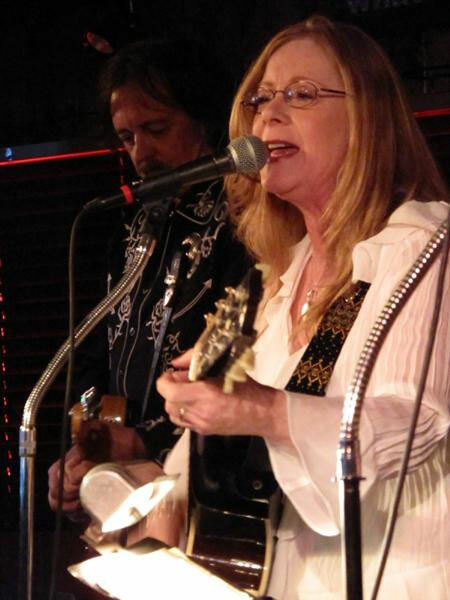 Karen has been compared with such vocal luminaries as Emmylou Harris and Linda Ronstadt. 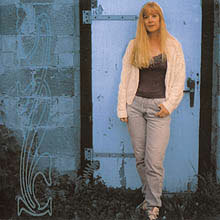 Her songwriting is filled with heartfelt lyrics and memorable melodies that touch the soul. What inspires you to write original music? Sometimes, there is a specific request for a topic, but most of the time I can pick up the guitar and start playing a progression and the next thing you know, I am reaching for my recorder because the lyrics and melodies start to flow. Sometimes I can finish a tune in five minutes, other times it may take a year. What influence has your classical training at the Bryn Mawr Conservatory of Music had on your songwriting? Not really that much, except to ensure that my pitch is spot on. I don’t usually use the notes in the range of the classical operatic style. My uncle was a dramatic tenor with the Stuttgart Opera, so I grew up listening to him do his amazingly powerful vocalizing techniques. My voice is dependable and in tune. That’s a real good thing. I think it’s really helpful for a songwriter who really isn’t a singer to get a few lessons and work the scales and learn about vocal dexterity and control. Do you have a predictable/repeatable process for writing original songs, or does your songwriting process rely more on inspiration and things less predictable? I was recently asked to collaborate with a male country artist who had never written a song before. So one of my regular co-writers and I got together with him and over a period of six months we wrote ten songs. So those were writing appointments with a purpose (ala Nashville style). You show up to the appointment and discuss the topic that the artist wants to express and the next thing you know you have some great lyrics, a nice feel, an arrangement and a strong melody. But generally, I just write what pops out based on what life experience I’m going through at the time. What’s typically the easiest part of writing a song for you? Sometimes, I hear a melody in my head, and don’t know the exact chords, so I get a bit frustrated, but I keep at until I find a good chord that works with the melody. You’ve been signed to a recording contract by Clive Davis at Arista Records, worked with Keith Stegall (producer of Alan Jackson) in Nashville, and been nominated as Best Country Artist by the Los Angeles Music Awards (along with Dwight Yoakum and Jim Lauderdale). How have these particular experiences helped shape your focus as both a performer and a songwriter? A long time back when I was signed to Arista, I didn’t really consider myself a songwriter, so I had to rely on others to select songs for me. The experience with Arista was a dissappointing one in that they selected a song for me that was also recorded by another artist on a different label. Basically that version killed any chance of my version being heard. It was around that period of my career that I decided to start writing songs myself. One of the ballads that I wrote with a few co-writers around that time was recorded by a signed artist Sam Harris. So I got the encouragement I needed to follow my heart. Then I wrote another song that ended up being the B side of a million selling single: With Your Love co-written with Joey Carbone and recorded by Teri DeSario on Casablanca Records. Teri, best known as the lead vocalist and songwriter for KC and the Sunshine Band, also had a cover hit with the song Yes, I’m Ready. In addition to your own CDs, your songs have been recorded and released by other artists in the US, Switzerland, Holland, and Japan. When writing songs to be recorded by others, how does that influence your frame of mind as a songwriter? Most of us humans have the same desires, dreams, goals and disappointments. So in writing from my own personal experiences, I can relate to what others have gone through in their lives. Love, faith, hope, healing, encouragment, and family are all basic principals that can be considered universal. What have you learned so far about the process of marketing original music? That’s one thing that I am not really good at. I would like to align myself with someone who is better at the marketing process than I am. I have had songs recorded by various independent artists and in TV and films. If I hear of an opportunity to place a song, I always respond immediately. I just don’t go about aggressively searching for license opportunities. That is an area where I feel I need assistance. What songwriting tips can you offer to aspiring songwriters? Write what you know. Write from you own personal experience. Have honesty in your lyrical content. Don’t be trite. Make the lyric flow as if you were in a conversation. What instruments do you use when developing a new song? Karen: I have two guitars, my [easyazon-link asin=”B0002GU6L0″ locale=”us”]Martin D28[/easyazon-link] excellent sounding guitar. I have owned it for over Thirty five years. Also have a Gibson Star model, which was a gift from Gibson, years ago when I was on Atlantic Nashville. I just love the sound of it and and look of it. What devices do you use to record your songwriting ideas? Karen: I have a new cellphone with an awesome recording device in it. [easyazon-link asin=”B007VCRRNS” locale=”us”]Samsung Galaxy III[/easyazon-link] and then there is that old cassette player that I picked up at a yard sale years ago for 5 bucks. That is still my most reliable tool. In a pinch I can call my answering machine and leave ideas on that too. Do you use any software in your songwriting process? 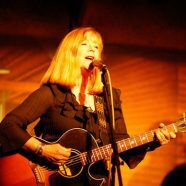 Karen: I have a [easyazon-link asin=”B000P3WE60″ locale=”us”]Zoom box[/easyazon-link] for my acoustic guitar that has a drum program to find good feels for tunes. It helps. Are there any other items you consider essential for your songwriting toolkit? Karen: I feel very lucky to have a home studio and a recording engineer as my partner. So once I get a song fully completed. I can record a click track and guitar track that I can use as the basis for a CD recording project. We have [easyazon-link asin=”B0061ZPCUQ” locale=”us”]Pro Tools[/easyazon-link] and a variety of mics and a great sounding home studio. We track drums and all for a great sounding final project. We have also hosted a few artists while they are recording with us 2 Sunnyland Productions.